We’ve become so accustomed to filters and false realities on Instagram that it can become difficult to tell what’s even real anymore. We’d like to think we still have a firm grip on reality, but an Instagram model named Shudu has just thrown our entire universe for a loop. 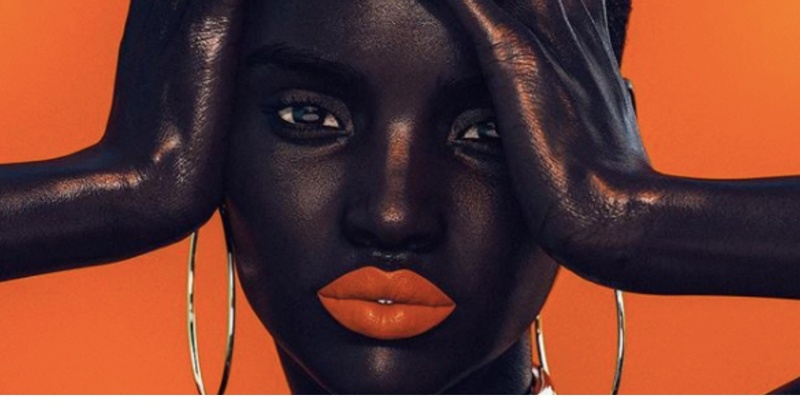 Shudu is an Instagram model with flawless dark skin. Her feed is scattered with various editorial images accompanied by #melanin hashtags. She even was reposted on Fenty Beauty’s Instagram account, wearing the lipstick shade Saw-C. Her beauty is so striking and unfathomably perfect that you almost don’t want to believe it’s real. The thing is, it’s not—she’s 100 percent CGI. Wilson was hesitant to confirm or deny Shudu’s existence when we spoke with him on the phone this morning. After all, half the fun of creating art this life-like is to make the viewer reconsider their definition of reality. Her intent is not to fool or trick anyone, he says, but rather to be a beacon of inspiring beauty and creativity. “I use a 3D modeling program. It’s like virtual photography, so once I create her, I can kind of pose her in certain ways,” Wilson explained. “I am a photographer anyway, so it’s just a way of exploring my creativity when I’m not shooting.” A single image, like the one seen on Fenty’s Instagram, takes several days to create. Shudu’s striking beauty was actually inspired by a Barbie doll, called Princess of South Africa. “Obviously some models like Duckie were definitely big inspirations for her as well,” revealed the photographer, who has also shot models like Gigi Hadid and Devon Windsor. It’s worth noting that Fenty Beauty, who worked with Duckie on the brand’s launch, only reposted the image of Shudu. We reached out for comment about whether or not they know about the model’s computer-generated image. Shudu isn’t the only computer-generated model on Instagram. Miquela, known as @LilMiquela, has 560,000+ followers who follow along as she models new clothes, takes selfies, and sells merch.